Our feature-rich mobile app puts the power of TradeStation in the palm of your hand – whether you’re at work, at lunch or on the beach. TradeStation Mobile synchs to your online account, allowing you to monitor quotes, analyze charts, place orders, trade options or check your positions – all in real time, 24/7. Now you can securely log in from your favorite Mac or PC web browser to check breaking news, place a trade or manage your account. Our powerful web-based platform gives you streaming real-time data and one-click trade execution – the same essential capabilities featured in our desktop software. Buckle your seatbelt and prepare for an award-winning* trading experience. 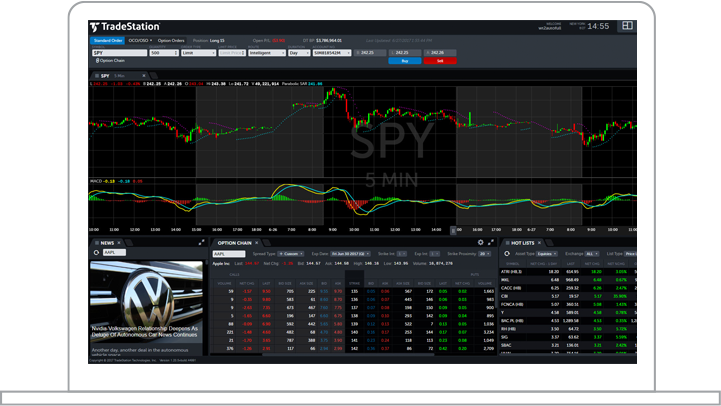 Like a finely tuned race car, TradeStation’s desktop platform delivers all the power, speed and flexibility active traders demand: dynamic market-scanning tools, fully customizable charting, fast and reliable trade execution, advanced order management and fully automated strategy trading. It’s all the professional-grade firepower you need to take on the markets with confidence. 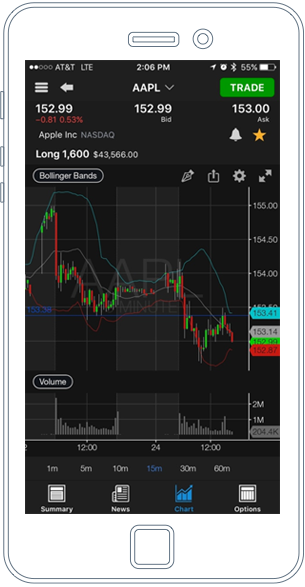 Find trading opportunities in real time with our RadarScreen® scanner. Know when to get into and out of trades using our Matrix market depth window. Or discover the exciting world of options trading with our OptionStation Pro platform. Put the charting and analysis power of the TradeStation platform to work for you with TradeStation Analytics – without needing to open a brokerage account. 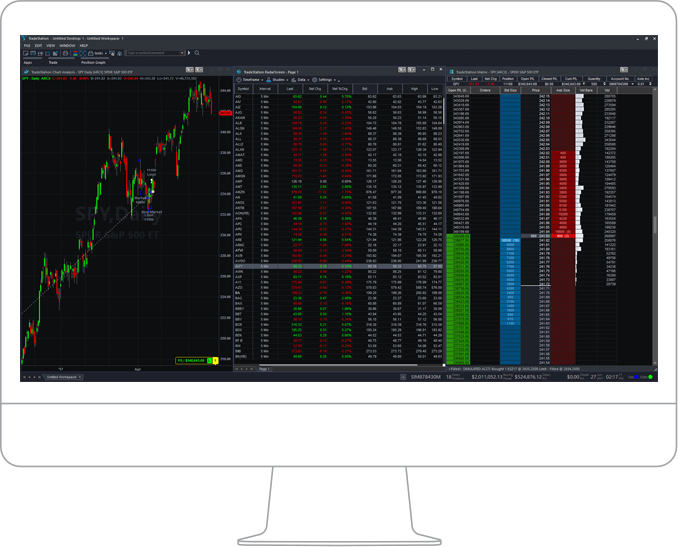 This premium package offered by our affiliate, TradeStation Technologies, Inc., includes its award-winning desktop analysis platform and premium analysis tools such as the RadarScreen® real-time market scanning tool and OptionStation Pro options analysis platform. 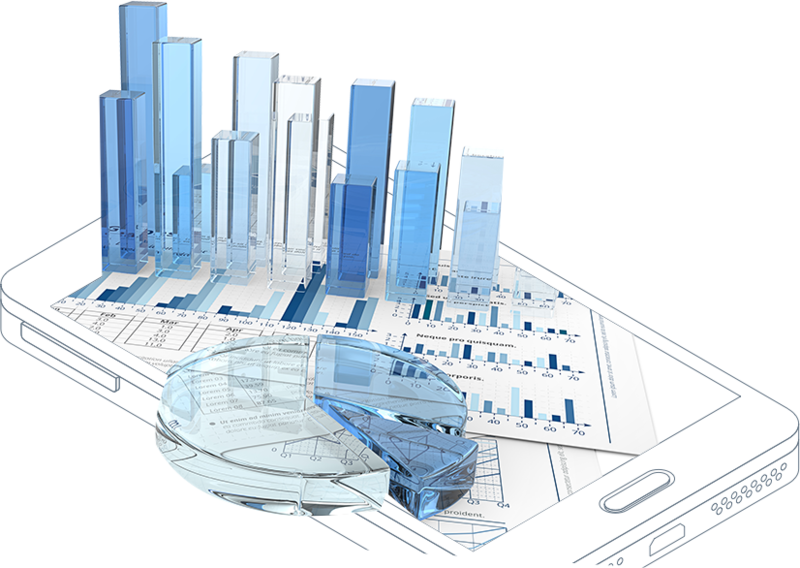 You’ll also receive real-time market data and access to TradeStation Technologies’ massive historical market database, as well as mobile and web trading apps. It all starts with an amazing infrastructure. 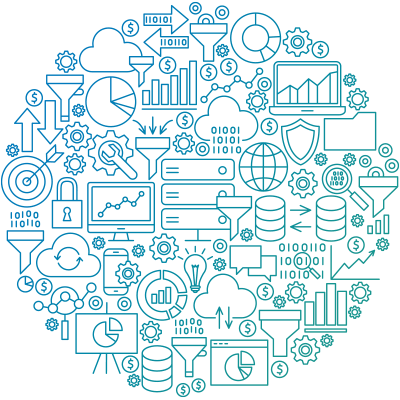 Our market data and order execution technology provide exceptional speed and reliability, empowering you to stay on top of market shifts as they occur, and enabling you get into and out of the market with speed and agility. * Rating based on Barron’s magazine 2017, a hands-on review of each company’s online brokerage products and services by a Barron's journalist, in several categories, after which numerical scores are assigned per category and aggregated to determine overall numerical score and star rating. Barron’s is a registered trademark of Dow Jones.